With a session marked by a brilliant victory in his political development in a Liberal stronghold and the beginning of a wind of positive change in Quebec, the leader of the Coalition Avenir Québec, François Legault, made a point of emphasizing that nothing is for certain, 10 months away from the general elections, especially against a Liberal government that remains a strong opponent and who will not hesitate to multiply the electoral gifts by October 2018. Surrounded by all of his MNAs, François Legault noted that his party made significant gains for Quebecers during the last session. For example, tax cuts for families, checks for $100 per child, the second bath for our seniors, the abolition of orphan clauses, the creation of the UPAC monitoring committee. The liberal strategy is becoming more and more clear : criticize the ideas of the CAQ on all platforms. However, they spent the whole session copying those same ideas. Between a pale copy or the original, Quebecers will be able to make the right choice, said Mr. Legault. 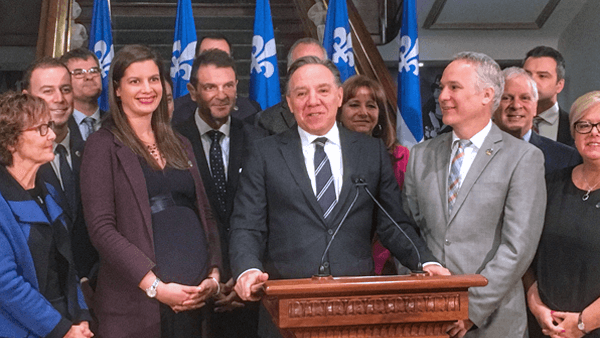 The CAQ leader told Quebecers to hold firm. There is a strong desire for change in the population, and in order for this desire to become a reality, we must focus on the concerns of Quebecers.